Birmingham Immigration Lawyer | Shabani & Associates, P.C. 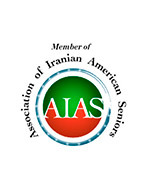 Shabani & Associates, P.C. was The first immigration firm in Birmingham, Alabama with extensive experience in immigration cases. With years of experience, the firm has been able to help hundreds of people and families moving to the United States. The Shabani & Associates, P.C. handles permanent residence, temporary work permits, criminal inadmissibility, and other U.S. immigration applications. we have a Nationwide Immigration Law Practice such as, Detention & Deportation, Immigration Court, Family Petition,Consular Processing, Waivers, US Citizenship, Work Visa, Employment & Labor Certification, Investment Visa, Labor Certification and Perm, Federal Court; WAVA, S, T, U Visa, Criminal Law; DUI, Family Law; Divorce; Lemon Law, Civil Practice; Automobile Accidents and Injuries; International and State Adoptions. 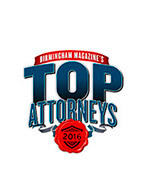 The Birmingham Law Office of Shabani & Associates, P.C.